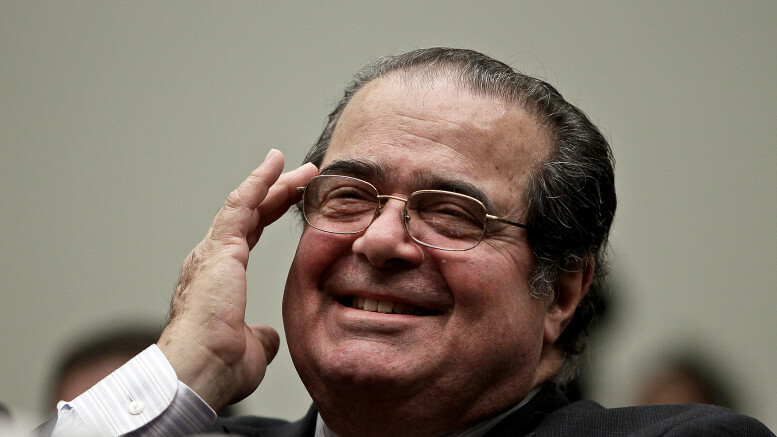 “Scalia had a very real talent of writing biting, trenchant, sometimes even memorable opinions either in the majority or in the minority,” states McDaniel Political Science Professor Dr. Herb Smith. What can be said, however, is that Scalia was one of originalism’s strongest proponents, and espoused the theory, which argued for the analysis of textualism and original intent, with vigor. He was also a man who knew the value of a dissent, of which he wrote many; in fact, his writings in the minority dwarfed his majority statements. But whether it was his oft-cited opinion of the court in DC v. Heller, or his condemnation of “interpretive jiggery-pokery,” his words were used with finesse and with a brunt forwardness that, often, served to both endear and make enemies, in equal measure. Of course, a number of his positions and statements were out of touch with the times, ranging from crass comments on homosexuality to arguments that African-American students were not capable of the same education as other races. These too shall be marks on his legacy, though to what extent is yet to be determined. But how will his passing have repercussions on the larger political system? Will his passing affect the number of decisions expected in the next few months, such as those related to abortion and affirmative action? His most notable legacy, it seems, will be in the jiggery-pokery that goes on as an attempt is made to fill his seat; GOP leaders in the Senate and on the campaign trail, ranging from Mitch McConnell to Donald Trump, have begun the argument that President Obama should refrain from nominating a new justice, and that such a decision should be left to the new President. They have also stated that they will block any Obama nominee. “It’s a political argument as opposed to a constitutional argument,” said Smith, “the constitution is very clear that the president should nominate, and, with the advice and consent of a majority of the Senate, can appoint Supreme Court Justices when a vacancy occurs.” President Obama, agreeing with this viewpoint, has decided to go forward with the nominations despite resistance. The biggest concern, however, is what the blowback will be from a 4-4 divided court could mean for major upcoming court decisions. By law, if the court ties on an issue, and hence does not have a majority, the ruling of the lower court stands but no precedent is set. With such contentious cases awaiting decision as US v. Texas (which examines President Obama’s immigration decisions) and Zubik v. Burwell (which continues the religious liberty argument against the Affordable Care Act’s requirements in regards to contraception, as previously discussed in Burwell v. Hobby Lobby) and Whole Women’s Health v. Hellerdtedt (which continues to examine the “undue burden” standard for abortion rights, as established in Planned Parenthood v. Casey), this becomes problematic. In regards to Zubik v. Burwell, a case involving the Affordable Care Act, colloquially known as “Obamacare,” Smith noted that “the focus is on Chief Justice (John) Roberts, who, in two consecutive Obamacare, ACA decisions, has dedicated, I think, a very deep commitment to the legitimacy of the Court as an institution in not playing a game of political chicken with the White House,” referring the opinion of the Court written by Roberts in National Federation of Independent Businesses v. Sebelius, in which Roberts, a George Bush nominated justice, upheld key provisions of the ACA. When it comes to other 4-4 splits, Smith believed that for cases as potentially controversial as these, the court may indeed simply decide to defer until a new justice was brought in. “I think Roberts is certainly savvy enough and committed enough to the Supreme Court as an institution independent of the other two branches to play a waiting game if he has to,” said Smith. The battle for Scalia’s legacy or for his now vacant position certainly shows no sign of ending, and it will still be seen how it will effect the presidential and congressional politics in the upcoming months.